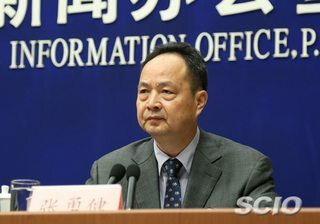 China's State Council Information Office held a press conference on the morning of 28 June 2018, inviting Judge Liu Guixiang (刘贵祥) (Supreme People’s Court (SPC) adjudication committee full-time member) and Judge Zhang Yongjian (张勇健) (Director of the SPC's 4th Civil Division) to introduce the current situation of China International Commercial Court (CICC). This article is a summary of the statements made by the two judges. Judge Liu Guixiang said that since the construction of "the Belt and Road Initiative" involves a large number of transnational commercial activities, it is very important to create a stable and predictable legal environment of business for it. In the first half of 2017, the SPC drafted the preliminary draft of "Opinions on the Establishment of ‘the Belt and Road Initiative’ International Commercial Dispute Settlement Mechanism and Institutions" (关于建立“一带一路”国际商事争端解决机制和机构的意见) (hereinafter referred to as the "Opinions"), and subsequently submitted it to the Communist Party of China (CPC) Central Committee's leading group for comprehensive deepening of reform for deliberation. On 23 January 2018, President Xi Jinping (CPC General Secretary) presided over the group meeting at which the Opinions was adopted by the group. The Opinions is the first important document formulated by the CPC Central Committee on the reform of international commercial dispute settlement mechanism and institutions. The Opinions has established basic principles, specific plans and organizational structure for the establishment of "the Belt and Road Initiative" international commercial dispute settlement mechanism and institutions. Judge Liu Guixiang stated that the international commercial cases handled by the CICC are foreign-related civil and commercial disputes between equal subjects. Foreign-related character refers to the situations where a party or both parties is/are a foreign national(s), a person(s) without nationality or a foreign enterprise(s) or organization(s), where the habitual residence of a party or both parties is outside the territory of China, where the subject matter is outside the territory of China, or where the legal facts that establish, alter or eliminate commercial relations occurred outside the territory of China. 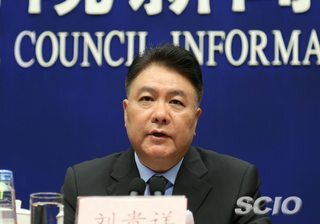 Judge Liu Guixiang also introduced the CICC's unique international commercial dispute settlement mechanism, which is to integrate mediation, arbitration and litigation into the CICC's platform. The parties may choose to initiate proceedings in the CICC. The judgment of first instance is final and cannot be appealed. The parties may also choose mediation in the CICC, which will be conducted by CICC International Commercial Expert Committee or international commercial mediation institutions in cooperation with the CICC. The CICC can make mediation agreements into judgments at the request of the parties. The parties may also choose arbitration at an arbitration institution in cooperation with the CICC, and the CICC will provide support services including evidence preservation and property preservation. The arbitration institutions and mediation institutions in cooperation with the CICC can set up offices at the location of the CICC's offices to jointly provide services for the parties. The CICC has also established an information platform through which the parties can receive service, exchange evidence and even go on court trials via the Internet. Judge Liu Guixiang also indicated that the CICC is not meant to challenge the existing international dispute settlement institutions, but to settle a growing number of international commercial disputes. China will continue to respect all existing dispute settlement institutions, and actively recognize and enforce the judgments or arbitral awards made by them. Judge Zhang Yongjian introduced the International Commercial Expert Committee. Firstly, it's professional. The Committee is composed of accomplished experts from China and other countries in the fields of relevant international law and national laws, especially those relating to investment and trade. Secondly, it's generally representative. Expert members come from different legal systems, different countries and different regions. The CICC has recently published the expert directory, which includes experts from countries alongside "the Belt and Road Initiative" as well as those from the United States and other countries. Judge Zhang Yongjian explained the reasons why international commercial courts had been established in Shenzhen and Xi' an. The SPC established the First International Commercial Court in Shenzhen and the Second International Commercial Court in Xi' an respectively. Shenzhen is located in the bay area of Hong Kong, Macao and Guangdong, where there are a relatively large number of foreign-related cases. Shenzhen is also an important place for "the Belt and Road Initiative" Maritime Silk Road. Xi' an is one of the starting points of the ancient Silk Road, having more economic exchanges with central Asia and Eastern Europe.